The Swami Doll was made as a gift for John Reis, who runs Swami Records! 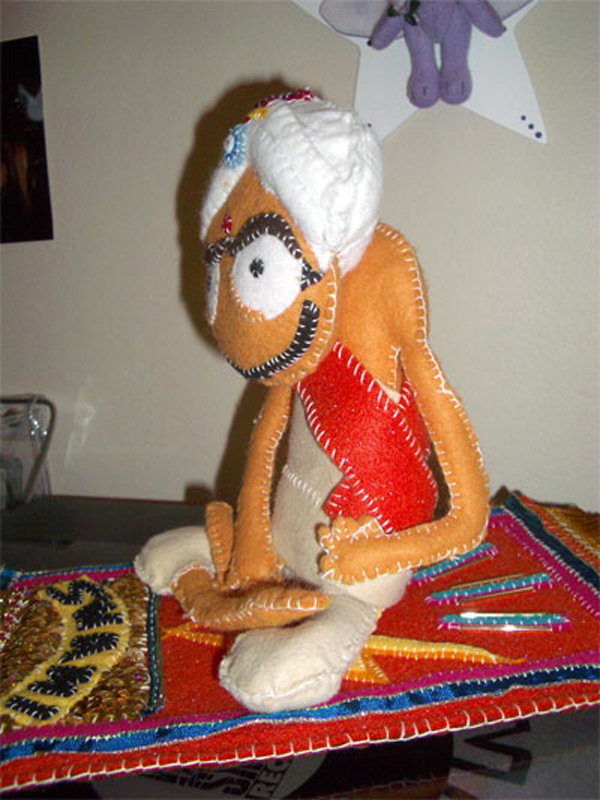 I made this doll in 2004 and shipped him over to California, a year before I moved here. When he arrived, the box was covered in miles of yellow and black tape as it had been opened by the curious folks in the US Customs Department! Swami sits on top of a highly detailed and sequined Magic Carpet.